Custom covered light shade designs, handmade in Geelong, Australia. Shipped around Australia and worldwide. 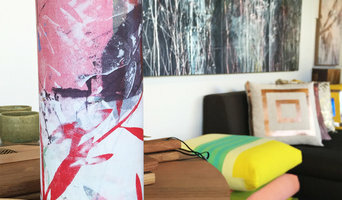 Lampshades are covered with lacquered paper designs (instead of fabric). Lacquered for durability, stain resistance, and easy future maintenance. You can choose from dozens of up-cycled paper such as music notes, sewing patterns, architectural drawings, maps, old handwriting, magazine ads and many more. Or speak to me about your own ideas! Lets get them on to paper and wrapped around your lampshade. My sculptures are a combination of art and function. I have always wanted to create sculptures with purpose. Something that is aesthetically appealing during the day and night fall. You can see illusions, shadow play and light patterns within my sculptures. Australian lighting & luminaire designers and creators. Australian Lighting Manufacturers of LED sustainable linear timber pendants and wall lights. 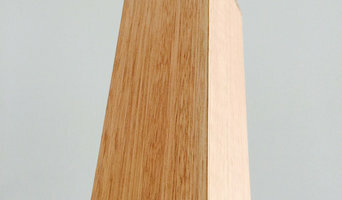 Bluelab Design manufacture their lighting with local sustainable hardwood such as Victorian Ash. All of our product use quality components, 5 year warranties, give functional lighting. 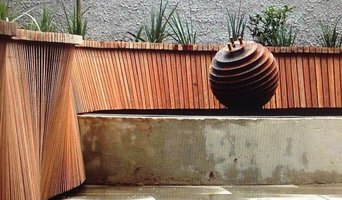 Our factory can produce custom lengths and manufacture with reclaimed Timber. Sonic Lighting is an independent lighting company specialising in architectural lighting for residential, commercial, retail, hospitality, and public spaces throughout Australia. Our team works directly with architects, interior designers, electrical engineers, retailers and contractors to ensure quality lighting outcomes. Satelight is an award winning design studio, specialising in contemporary lighting. The team designs, manufactures and distributes luminaires for a variety of interiors, including residential, hospitality, retail and office environments. Satelight’s lighting collection is manufactured in Australia, which allows for a large range of light fittings to be customised to suit any interior. Satelight is also agents for Aëon Illumination and Shed 17. NRG Efficient Homes, a nationally accredited company under the ABSA & BDAV body is a team of energy rating consultants committed to providing the cost-effective solutions in sustainable buildings of Melbourne. Our energy rating report and commercial energy rating service are straightforward and competitively priced. We also provide Baxis report and section J report. We are not only reputed ESD consultant in Melbourne but provide sustainability consulting services too. Once we receive the building plans, a thermal performance assessment of your house is conducted using the latest FirstRate 5 NatHERS accredited software. As of May 1st 2011, the residential energy rating report must achieve a 6-star rating. In case, if it doesn't, we further offer a few cost-effective alternatives that will bring it up to the required level. We value superior quality customer service, a healthy and positive work environment and the use of energy efficient technology to deliver consistent professional and full value service. Our analytical skills help us focus on strategies and programmes that further assist us with catering the respective needs of the projects. Our residential and commercial energy rating reports guarantee that your building gets required permits without any fuss. To inquire, more about our services and solutions offered call us today! At Lighting Lighting Lighting we believe that everyone has the right to beautiful lights, no matter what your budget is. Shop online securely, 24/7 from our huge range of pendant lights, lamps and LED downlights. Renovating, Building a new house or simply like a change? Our stock is always changing and we have all the latest styles and trends that will sure to impress. We are purely an online based lighting store, with expert knowledge on lighting design, styles and trends. We carefully hand select all our light fittings so that our customers can choose from the absolute best available. If you need any advice on which lighting fitting to choose for your home, we are only a phone call or email away. We hope you love our lights as must as we do. 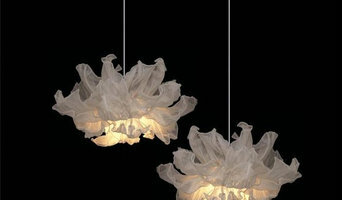 LampShadeHouse creates designer lampshades that complement a range of interiors. Whether you want to make a statement, create a contemporary feel, or need something to complement your décor, we can help you. Our lampshades are crafted in our Melbourne studio, and can be made to suit table lamps, floor lamps, hanging pendants or close-to-ceiling light fixtures. No matter what the dimensions are, or the design you require, we can customise a solution for you. We pride ourselves on being flexible, affordable and approachable. It is our number one aim to find a lampshade for you that you will love. Edison Light Globes Pty Ltd is a manufacturing, import/export business based in Melbourne Australia. We supply 240V AS/NZS approved, CE and SAA approved and 120V UL listed lighting hardware to virtually any country. Lighting designers will analyse your Geelong, Victoria home's layout, structure and needs to create an effective lighting plan throughout your home. This may involve the addition of new light fittings but may also include the movement or addition of power points — recommendations to suit your space and your lifestyle. Though electrical engineers or interior designers in Geelong can take on the task of outfitting your home with the appropriate lighting, a professional lighting designer explores lighting as a technique. They can match your style, be it antique lamps to match your eclectic vintage home, or modern wall floor lamps to go with your designer furniture. Think about how you plan to use each area of your Geelong, Victoria home. It's important to communicate to your Victoria lighting designer which space will be used as for reading and which for enjoying a movie or entertaining, as these will require very different lighting methods. In addition, consider how you'd prefer to control the lights. Lighting technology today includes dimmers, sensors, photocells (that let lights react to the amount of daylight in a space), programmable scene controls (that let you program different settings for varied lighting) and whole-house lighting controls (that let you control all or a portion of your home's lights from one source), allowing you to tailor your lighting controls however you wish. Find a lighting designer on Houzz. Narrow your search in the Professionals section of the website to Geelong, Victoria lighting designer. You can also look through Geelong, Victoria photos by style to find a lighting design you like, then contact the designer.